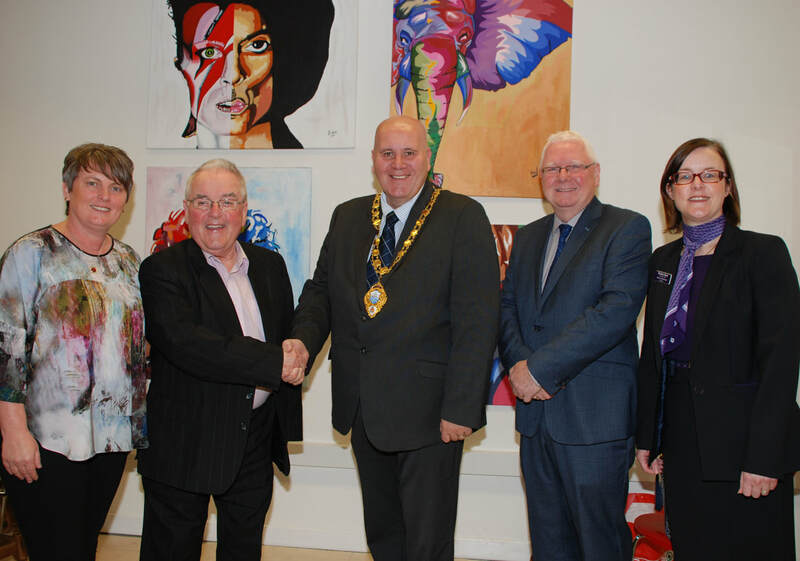 Picture: Melanie Christie Boyle, Chief Executive, Ballymena Business Centre; PJ McAvoy, Chairman, Ballymena Business Centre; Cllr Paul Reid, Mayor of Mid and East Antrim Borough Council; James Perry MBE, Vice Chairman, Ballymena Business Centre and Melanie McAllister, Manager, Ulster Bank Ballymena. Ballymena Business Centre town centre project located in Church Street, Ballymena has been recognised as a model of best practice by Retail NI in the Programme For Government Policy Recommendations to the NI Assembly. Ann Strain grew up in a rural family business in the village of Ahoghill outside Ballymena. Being inspired at a young age by her father’s business Jimmy Moore’s Mobile Shop and her mother’s talented baking, Ann couldn’t wait to get home from school to help in the family business. ​The desire to start her own business was always with Ann and in 1980 having raised her family Ann established Wuthering Heights Home Bakery. Located today at Ballymena Business Centre, Wuthering Heights Home Bakery has gone from strength to strength. With the leadership of Ann’s son Andrew Strain and supported by Ann’s daughter Diane Strain the business has trebled threefold with a total product range of 67 own label brands and a distribution base reaching from Londonderry to Newtownabbey and from the Causeway coast in-land to Ballymena. ​Ann diversified the business in 2009 and opened The Cosy Cuppa, a cafe where businesses and visitors to Ballymena Business Centre can sample many of the sweet delights over a friendly chat. Today, through the commitment of the Strain family both businesses provide employment for 10 individuals from the local Ballymena area. The prospect of being made redundant is one of the biggest challenges many individuals face. It has a major impact on household income, family members and an individuals health and well-being. After dealing with the initial shock and coming to terms with a redundancy announcement many individuals start to look to the future. Some will explore opportunities for alternative employment, some may seek to learn new skills and some may have a desire to explore starting a business.